These days, studies show that many people (especially teenagers) get as much as 80% of their liquids from drinking diet soda. This is a very dangerous trend that is sure to lead to (and indeed is currently causing) horrendous health problems. In this article, we will discuss the dangers and addictive nature of aspartame and diet soda and provide some sound advice for getting the aspartame monkey off your back. Read on to learn more. Caffeine, high fructose corn syrup and aspartame are all damaging to your health. They are also highly addictive substances. While all are worthy of close inspection, in this article we want to focus primarily on aspartame. Aspartame contains no calories, so you will find it used as a sweetener in all manner of diet products. Aspartame was approved by the Food and Drug Administration (FDA) in 1981. This decision flew in the face of a great deal of opposition to the product. Although it has been presented as being safe, this is wildly untrue. The very FDA that has approved the use of this chemical has also identified 92 health problems that are linked to its use. Since their approval, the FDA has received over 10,000 complaints about the negative effects of this artificial substance. As a matter of fact, more than 75% of the complaints the FDA has received since 1981 have involved aspartame. How Does Aspartame Cause Diet Soda to Be Addictive? According to a Journal of Neuroscience review published in 2010, aspartame interacts with the dopamine system of your brain. It triggers neuronal award systems without satisfying them. Like alcohol and drugs, aspartame produces a positive reinforcing effect that temporarily boosts your cognitive processes and your mood. This effect is achieved both chemically and due to the fact that the act of tasting a sweet substance also activates the pleasure generating circuitry of your brain. All of this adds up to solid addiction. Remember that aspartame is not the only addictive substance found in diet sodas. Caffeine has been known to be strongly addictive since time immemorial. Caffeine is a psychostimulant that is the most commonly used drug worldwide. When its effects are combined with the effects of aspartame, the addictive nature of diet soda is greatly amplified. Caffeine works by increasing serotonin receptor sensitivity and raising levels of serotonin. It increases the production of dopamine (the feel-good neurotransmitter) by fitting handily into the adenosine receptors of the brain. This is why caffeine does have some genuine medicinal use as a relaxant, and headache reliever and even a provider of some relief of light depression. It’s important to realize that this type of valid application of caffeine use must be carefully monitored and measured. The inclusion of caffeine in diet sodas is a sure recipe for abuse. Excessive use of caffeine disrupts sleep cycles and prevents your body from being able to repair itself. Without intervention, caffeine abuse leads to addiction and causes an ever-increasing need for more and more caffeine to maintain “normal” functioning level. People who are addicted to any substance (including caffeine and aspartame) will experience withdrawal symptoms when the substances are removed. It’s easy to see how a sweet taste, a dose of caffeine and a “Mickey” of aspartame combined in a drink could easily result in an addictive substance, and that’s exactly what diet soda is. Today, many people reach for diet soda every time they are thirsty. Since the ingredients found in diet soda do not hydrate your body, the product does not quinch thirst! 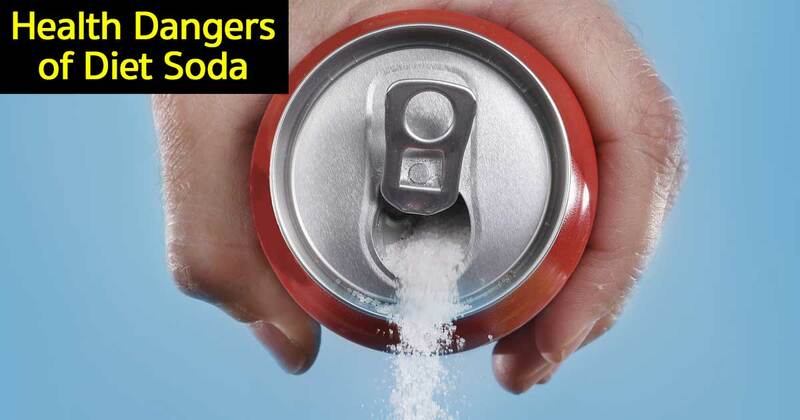 This means that thirsty, addicted diet soda drinkers have to reach for the substance again and again. This all adds up to big profits for the soda companies! How Can You Get the Diet Soda Monkey off Your Back? Ending an addiction to diet soda is as hard as ending an addiction to anything else. Every person will have his or her own way of dealing with the problem successfully. Look at information regarding ending an addiction to cigarettes, alcohol and/or drugs and follow the advice that best suits your personality and ability to succeed. #1 – Count the number of diet sodas you drink in a day and add up your daily cost. Multiply that by seven for a weekly cost. Multiply that by 56 for an annual cost. You are sure to be surprised by the staggering amount of money you are spending on diet sodas! Remember that you are spending this money to destroy your health! Couldn’t it be put to better use? Imagine using that money for holiday shopping, purchasing something nice for your home or going on a vacation. Keep that thought in your mind every time you are tempted to drink a diet soda. #2 – Reach for pure filtered water every time you are thirsty. Before you ever drink anything else, drink a glass of water. Don’t purchase bottled water as it is more expensive than and almost as bad for you as diet soda. Instead, invest in an inexpensive filtration pitcher and filter your own tap water. Carry water with you at all times in a reusable stainless steel container In this way, you will have an abundant amount of water to quench your thirst affordably anytime you need it. #3 – Focus on your health. Take a few moments every day to meditate on your own good health and well-being. Keep your focus on making mindful, smart choices regarding diet, exercise and rest. Make your health your top priority. These days, there are many adults who have grown up drinking diet soda as their beverage of choice. If you are one of them, don’t expect ending your addiction to be easy or quick. It will not be; however, it is absolutely necessary to follow through in order to safeguard and improve your health and elevate the quality of your life. Take it one step at a time and do whatever you need to, including forming or joining a support group to help you stay focused and provide you with moral support.